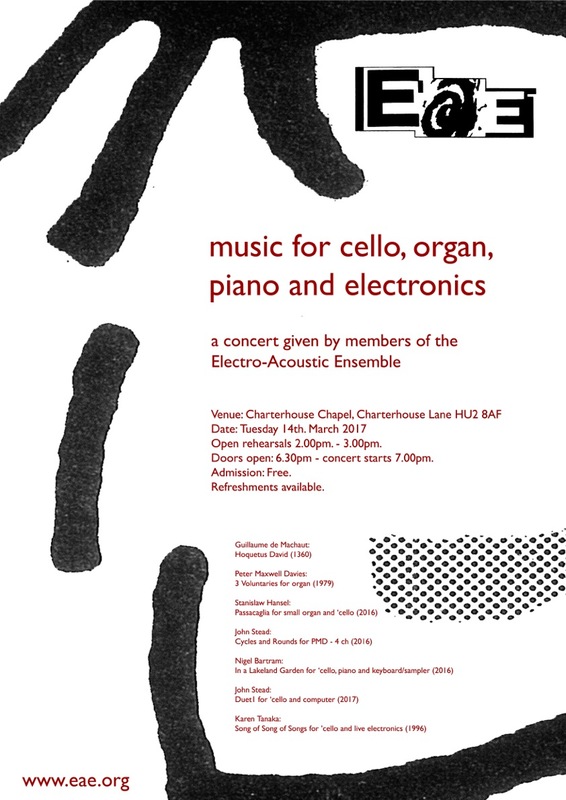 Thanks to our friend John Stead for inviting us to a special evening concert – the Electro-Acoustic Ensemble’s acousmatic performance of music for cello, organ, piano and electronics in Hull’s Charterhouse Chapel. 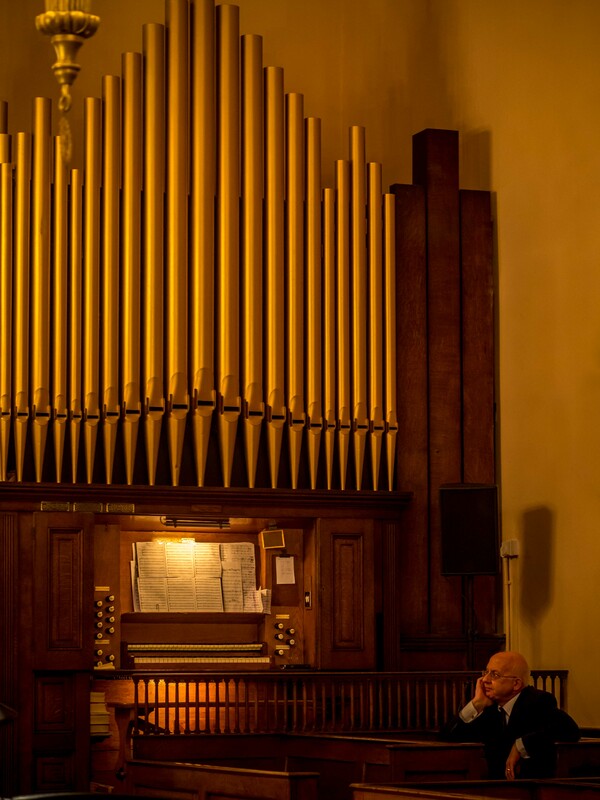 Members of the EAE – Nigel Bartram (cello), John Stead (electronics), Stanislaw Hansel (organ, piano and sampler) – performed an adventurous and beautiful concert in the most atmospheric candlelit chapel. Pieces ranged from Guillaume de Marchaut’s 12th century Hoquetus David to Japanese American composer Karen Tanaka’s 1996 song of love interspersed with world premieres of new pieces by EAE members including tributes to Peter Maxwell Davies on the first anniversary of his death. Stanislaw Hansel’s organ pieces really set the scene in the chapel when his ‘naughty little interludes’ kicked in, I was hooked! His Passacaglia for organ and cello continued to fascinate, contrasting the long slow cello notes with amazing high irregular tunes. Dexter particularly enjoyed Nigel’s evocative cello and piano composition which layered live cello and piano over samples of sounds of nature and transported us to a lovely day – In a Lakeland Garden. John’s ‘Cycles and Rounds for PMD’ – a tombeau for Peter Maxwell Davies and ‘Duet I for ‘cello and computer’ – a graphic score – made full use of the acousmatic sound system. Cycles and Rounds featured beautiful bell and metallophone sounds moving around the chapel, flying over head and disappearing into imaginary tunnels. Duet I’s partially improvised interplay between the cello and John’s electronic manipulation of it’s sounds was most otherworldly as it rebounded from one side of the chapel to another. What an inspiring concert, a chance to hear something unusual and timeless, enhanced by illuminating introductions to each piece and a stylish programme to keep.